Content marketing is one of the hottest topics in online marketing at the moment. At Marketo, we have used the power of content marketing to grow our business at a rapid pace (see Marketo ranks #1 Marketing Software Vendor on the Inc 500). We have also just launched a guide to show you how to build and operate your own content marketing machine. The right content strategy can make a huge impact to your business. But the power of content marketing can be broken into a number of different areas, from attracting natural visitors through Google & Social Media, to generating leads for your business and turning those leads into paying customers. One of the the areas where content marketing is making it’s biggest impact is in SEO. We wanted to ask some leading experts in both the UK and US for their thoughts on how the evolution of content marketing is affecting the type of SEO strategies they implement for clients. In this edition we have 5 leading experts from the UK, who are all using content marketing to super charge their clients SEO strategies. Simon Penson: Simon is a former magazine editor turned digital marketing agency owner. He now runs Zazzle Media, a content marketing, social and SEO agency where they utilise much of that experience in providing a content led service to large and small business with the aim of creating valuable audiences. 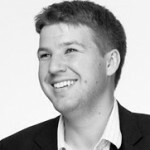 He writes regularly for SEOMoz, eConsultancy and Search Engine Watch covering a wide range of digital marketing topics. He also talks regularly on digital marketing at events such as SMX, Brightonseo, Thinkvis and more. Kelvin Newman: Kelvin is the Strategy Director at SiteVisibility and responsible for the iTunes most popular marketing podcast. On the show he’s collaborated with a number of the world’s most respected marketers including Seth Godin, Tim Ferris, Avinash Kaushik & Jakob Nielsen. He’s delivered presentations across UK & Europe at events like A4U, SMX London and SASCON. He also runs the hugely oversubscribed BrightonSEO event and has just launched the Content Marketing Show, which sold out in it’s first hour. James Agate: James Agate is the founder of Skyrocket SEO – a content-led link building agency that works as a partner to digital marketing agencies and in-house SEO teams. James is a frequent contributor to sites such as SEOmoz, blogs regularly, Tweets daily and Google+’s occasionally. 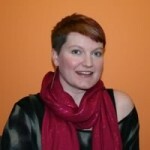 Hannah Smith: Hannah Smith is an SEO Consultant working for Distilled in their London office. She manages technical, link building and content campaigns for clients across a range verticals in addition to managing one of the internal SEO teams at Distilled. She’s spoken at various industry events, both in the UK and abroad including MozCon, SearchLove, Be Wizard and Think Visibility. Kevin Gibbon: Kevin Gibbons is founder and Managing Director of UK content marketing agency Quaturo. A highly respected blogger on search engine marketing and social media, Kevin also speaks frequently at leading industry events. Simon Penson: For me it’s a pretty obvious answer as I came from ten years as a magazine editor and journalist. That time taught me that the only way to create a sustainable audience of value is with quality, expert and engaging content. The web was always going to follow suit in the same way that all forms of mass media did before it. Initially we are fascinated about the technology but as it matures the only thing that holds our attention is great ‘stuff’ – content to listen, watch and read. Kelvin Newman: It’s certainly nothing new but some of the changes in the recent algorithms have maybe encouraged more SEOs to wear their allegiance to content marketing a little more proudly. I think the real reason for the rise in popularity of the phrase and it’s associated marketing approaches is simply a growing maturity in the market. More and more people are using the same language and terms to describe a collection of tactics and strategies, and as digital marketers mature they’re getting better at delivering more sophisticated campaigns. It’s a coming together of different disciplines and backgrounds and is leading to some pretty exciting work. James Agate: Honestly? I think it is because some people in our space need something new to latch on to. As you say, it isn’t a new concept and whilst it is of course a very solid way to attract and convert prospects into customers – the growth does frustrate me a little since it isn’t always the answer to every single marketing challenge. It certainly isn’t the answer to Google’s Penguin update despite being often heralded as such. Hannah Smith: I think it’s worth noting that it’s a new name for something which lots of SEOs (both client-side and agency-side) have been doing for a long time. However I think that ‘content marketing’ has grown in the SEO world mainly down to two little black and white animal shaped updates – Panda & Penguin. SEOs were always told to build good quality pages for users – however, the reality was that in order to rank well in search, you actually didn’t always need ‘good’ pages – particularly if what you were targeting were less competitive terms. This flaw in the algorithm led to some sites creating many ‘low-quality’ pages – some of which were essentially there only to attract search traffic in order to sell advertising space. In the industry they were dubbed content farms. The Panda algorithm update was essentially about Google’s battle to try to rank ‘good quality’ content. This update changed the search landscape – SEOs couldn’t keep on creating lots of ‘low quality’ pages and expect them to rank. They needed to create better content. SEOs have long been obsessed with gaining links in order to improve search visibility and there’s really only two ways to do so – earn links (typically by creating great content) or buy them. Now of course Google have always been against buying links – because this manipulation of the link graph messes with their ability to deliver genuinely good results at the top of the SERPs. However, the main issue for SEOs was always that despite Google’s claims it was entirely possible to build great search visibility using tactics Google themselves claimed were manipulative and they did not reward. In April 2012 Google finally hit back hard; and the Penguin update knocked out a lot of sites that had been engaged in the purchase of links. The buzz around the winners and losers post Penguin fuelled a lot of discussion in the industry around which tactics could be safely utilised moving forward. As sites with genuinely good content were finally being rewarded more SEOs started looking to create content to build links. It’s been quite obvious for a long-time that Google are highly valuing the reputation of brands. The problem is that while everyone has always known content is king – traditional link building tactics were always the quicker fix! So if there’s quicker ways of achieving those goals, rightly or wrongly, of course some are going to take it. But if you look at the brands that have really come out on top, they’ve been doing this a long time – focusing on steady improvements and high-quality content generation/audience building, as opposed to short-term SEO fixes. Question 2: Has it’s growth in popularity affected the SEO strategies you put together for clients? Simon Penson: For us no as we have always been content led. It has slowed our growth initially as we didnt chase the algo as many agencies did, very successfully. Instead we stuck to our core competence and built a business of content professionals with a smattering of world class technical prowess to ensure we could optimise the platforms we then promote with content. Kelvin Newman: A growing familiarity does make it a little easier to sell but in terms of actual day to day at the agency I work with I don’t think it’s had a dramatic impact on our day today work, we’ve always put content at the centre of our offering but we’ve probably got more confident and aggressive in the way we describe that to clients. James Agate: It has and it hasn’t. We are still focused on achieving business goals by driving organic search results – unlike, I think, a lot of agencies who seem to have pivoted almost to the point of offering SEO as a side benefit of their new “content marketing” services. Hannah Smith: At Distilled (like many other SEO agencies) we’ve always had a content-led approach to link building; in that sense I don’t think we’ve really changed our approach that much. However, what’s interesting now is that more people are coming to us and asking for content strategy and indeed content strategy beyond link building which is great. Kevin Gibbon: To my knowledge, Quaturo were the first to make the move as a content marketing agency in the UK – at least in the context of focusing on content from an SEO perspective. To be honest even we’ve been surprised how popular a topic content has become since, despite seeing this as an obvious route to take ourselves. So I wouldn’t say the popularity of content marketing has affected our strategies – it’s more the fact that this is what is working for our clients and getting great results. Plus clients awareness on the impact of content is quickly improving, whereas previously they may have dismissed it as the latest trend or buzzword – now they can see that it is integral to their online strategy. Question 3: What role does keyword research have in the planning of a content marketing strategy? Kelvin Newman: That’s the one advantage I think Content Marketing with an understanding of SEO really does have over other approaches. If you know what people are searching for you can do a pretty good job of understanding what they want to know more about. Without that understanding any content strategy you create is based on gut feeling. A lot of great content strategist have a sixth sense for this need of customers but keyword research can increase your confidence in your instinct. James Agate: For us it plays a massive part because our background is SEO so of course we are always looking for opportunities that Google present. Any content marketer that isn’t basing their content strategy around keyword research by mining either internal and external data is really missing a trick. You can learn so much about the kind of content a client needs from the keyword research. Hannah Smith: That is a great question. Again it really depends on what the client needs and what the objectives of the content marketing strategy are. For example, keyword research is really important when determining what sort of content a client needs to create to help attract potential leads higher up the sales funnel – for example keyword research can help uncover what these potential leads are searching for. I also like good, old-fashioned market research; for example when undertaking a conversion rate optimisation project we’ll typically interview people to find out why they purchased, why they didn’t and so on. This sort of research can help uncover the questions that people are asking when they’re in the research phase of a purchase. Market research can also be really useful if you’re looking to create content for a particular audience as you can ask them directly what content they’d like to see on a particular company’s site. Kevin Gibbon: Keyword research plays a large role in planning for any content strategy. However, it’s important to remember that content strategy is not just about keyword volume and SEO opportunities. I wrote a post recently on content auditing which explains some of the processes behind this – so my advice would be to analyse your analytics and find out what your readers like, share, interact with and convert from. That way you can make sure you’re creating content of value towards your audience – and not just a list of popular keywords which are a distraction to your readers. Question 4: Content marketing has a lot of different meanings, dependent on what your role is and how you approach it. For example, an email marketer may define content marketing as part of their lead nurture campaign and measure things like open rates, click through rates to establish success. As an SEO, what metrics do you use to define success of your content marketing strategy? or are those metrics just part of what you measure to determine the success of your SEO strategy? Simon Penson: This really is dependent on the client. We sit down and understand their business and key conversions and actions they want their audience to perform. Based on that we will then model KPIs against that and create a content strategy that best feeds targeted people through those user journeys. If you are measuring search visibility then organic visits and the number of URLS receiving visits via search are usually included, as are things like share of voice. For social, engagement is the key metric to measure. We might also look at downloads, trial subscriptions etc. It really depends on the client. Kelvin Newman: At the end of the day your measuring one thing, how much more money is the company making now compared to before the campaign, there’s all kinds of intermediate measure of success you can make, and they can be important but if you don’t understand the impact on the bottom line you can’t know whether a campaign is working or not. James Agate: Metrics-wise we look at how successful a piece has been in terms of the visitors it attracts (and how that breaks down by source), social sharing figures and links attained (either through attraction or outreach). At a campaign level we will then assess rankings, conversion rates (and revenue where possible) and try to tie back the noticeable uplifts to key events such as a piece going live, moving into position 1 for a keyword as a result of a slew of links that were sought through outreach. If we’re creating content specifically to attract links and social shares, then of course we’ll look at those metrics, plus of course measure the ranking benefits to the site overall. We’ll of course also look at traffic and conversions. For conversion rate optimisation the metric we’re all interested in is conversion rate. If we’re creating content to help a site recover from say a Panda penalty we’ll look at whether or not the pages have been re-indexed, traffic and conversions. If it’s content for a social campaign, then we’ll look at social engagement metrics, traffic and conversions. Kevin Gibbon: It depends on the clients goals – it may be content engagement, social brand awareness or sales/lead generation – not just SEO. So we would need to value success based on the metrics that are most important to a specific campaign. Many of our new clients have actually come to us, not for SEO, but for online marketing and sales/lead generation. They see content as integral to engaging their audience, generating social brand awareness and as a result any natural link acquisition lifts their reputation in the search engines. This shows there’s a real shift in their thinking – the recent Econsultancy content marketing survey highlights this too – with SEO only 5th on the list of reasons why marketers are doing content marketing. Which is great to see as it’s absolutely the way it should be – SEO and link building shouldn’t be the main goal, it should be a natural by-product of creating great content. Question 5: Who are must follows on Twitter if you want to learn more about content marketing? As well as the obvious choices such as @Copyblogger and @Junta42. Kevin Gibbon: From an SEO perspective I think the likes of Lee Odden and Chris Winfield in the US are two great thought leaders in content marketing – and then looking further into the content strategy world you have the likes of Kristina Halvorson – we’ve actually listed 47 of them on our blog too! A massive thanks to all our UK experts for contributing to this post. Don’t forgot to check back for the second part where we find out what leading experts in the US have to say on the same topic. In the meantime why not download our free guide on How you can Build and Operate a Content Marketing Machine for your business.